In 2012, as Girl Scouts celebrated 100 years of being the preeminent leadership organization for girls, the world joined our party! From celebrations in Savannah, GA, a lighting ceremony at New York's Empire State Building, Rock the Mall in D.C. and everywhere in-between, Girl Scouts were everywhere. As we look to launching into our next 100 years, the world is ready. 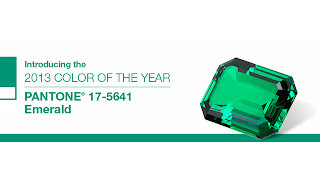 The Los Angeles Times reports that Pantone has announced the 2013 Color of the Year, and it is Emerald, a jewel-tone green. While Emerald might not exactly be Girl Scout Green, we at Girl Scouts of the USA do feel partially responsible for 2013’s Color of the Year, and are thrilled that the rest of the world is catching up.